In 2015, HIGH TIMES will return to the Mile High City for our fifth event at the Denver Mart. Our first two events in Denver were Medical Cannabis Cups, restricted to medical patients only. But Colorado voters legalized adult, recreational use of marijuana in the 2012 election, which resulted in our most successful Cannabis Cup ever. 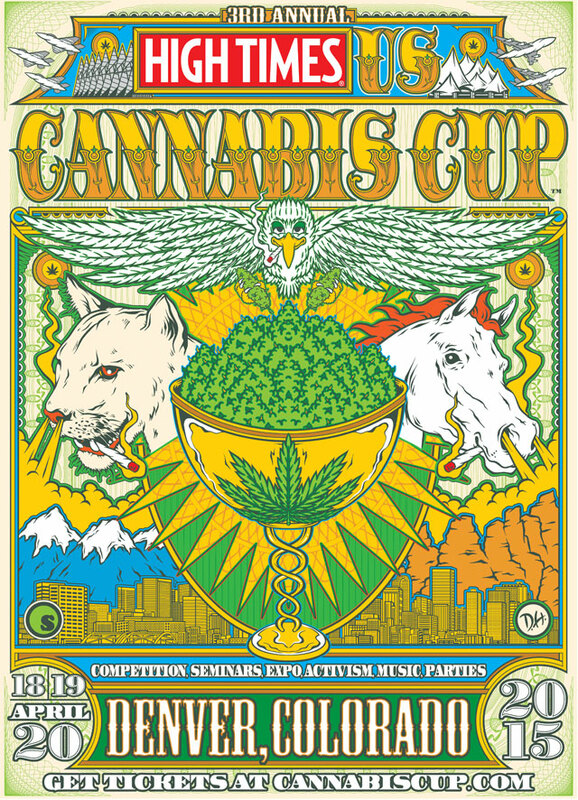 We now host the US Cannabis Cup, an event open to all adults. Be sure to take part in this year's Cannabis Freedom Trail! Visit participating pot shops, sample the strain they have entered, then vote on Sunday for your fave. The shop with the most votes will be awarded the People's Cup. Please note that only those 18 and over with ID may attend the event, 21 and over with ID to enter the smoking area. Those 18 and over with a Colorado medical card will also be able to enter the smoking area. Doors open at 11AM Saturday, Sunday and Monday.